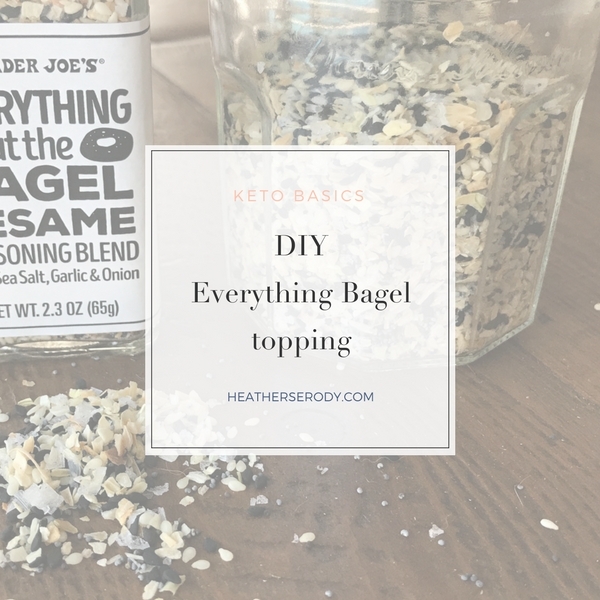 You can totally make your own Everything Bagel topping to put on, well, just about everything-but you're going to especially want it to make the Keto ‘Everything Bagel' flatbread recipe. Once you make up a batch, trust me, you'll be shaking it on top of everything or just eating it by the spoonful for a punch in the face taste of savory awesomeness. Add all ingredients to a glass jelly jar, cover and shake well to combine.